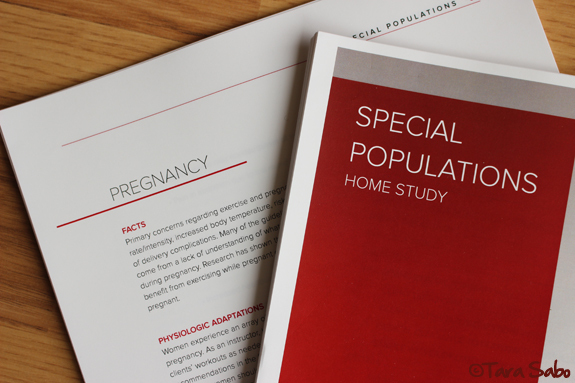 1) Complete that "Special Populations" course for my Spinning certification. 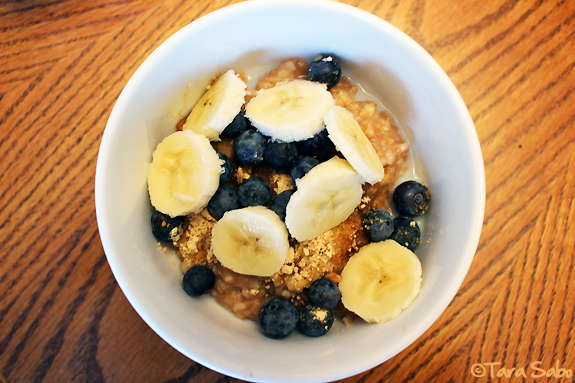 2) Develop a recipe for slow-cooker steel cut oats. You guys. I am so happy with my slow-cooker steel cut oats recipe. I drool just thinking about it. I wasn't sure if it would turn out, because you never know with these things, but it did and I highly recommend making it. You'll have a pot full of the perfect oatmeal base, ready and waiting for your favorite toppings. 3) Create an account on LinkedIn. 4) Celebrate the wedding of a great friend. Consider it done! As you read this, we're packing our bags for the return trip home to Michigan. If you follow me on Instagram or Twitter, you've probably seen evidence of our travels. 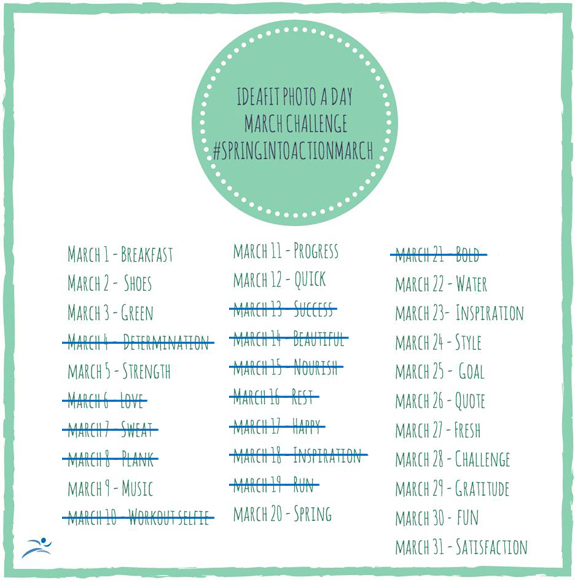 5) Complete the IdeaFit photo-a-day challenge. This was such a fun challenge! Sure, I missed a few days, but I checked the word every single day and made a conscious effort to post if it spoke to me. Anything with a line through it is a day I didn't post. I should tell you, I wrote this in advance of March 31. Just looking at the words for each day of our trip...I was certain I could finish strong. If you follow me on Instagram or Twitter, you'll know for sure. And now, it's time for April. See you on the flip side. Question: Are you on LinkedIn? Yay or nay? As a blogger, does it do much for your blog? Or do you use it primarily for professional purposes? And if that's your game, what has it done for you?